We kindly request you please take a look at our FAQ section before submitting an inquiry. 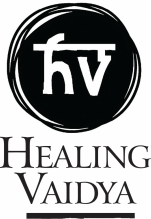 Healing Vaidya Foundation is not a hospital, hospice, clinic. We do not produce, distribute, or sell ANY medication or treatment plan. Such requests will not be entertained. Effective December 1, 2018, no individual consults will be entertained. With a small staff and an incredibly high number of messages, Healing Vaidya Foundation can simply not afford to offer this service until the NGO is better funded. If you are interested to keep the mission go, please follow instructions on our DONATE page to contribute to Healing Vaidya Foundation so we can ensure to continue to be empowerers! the outside world while treating our inside selves. Healing Vaidya Foundation is a NGO focusing on providing information about options for treatments, how treatments can compliment each other, what role the mind can play and how faith works. It is not an open endorsement platform for hospitals, doctors and medicines alike. We kindly request you refrain from requesting such information as they will not be entertained. Many thanks for your understanding on this matter.